The Dartmouth Park Neighbourhood Forum (DPNF) was established in response to the Localism Act that enables local communities to produce Neighbourhood Plans to guide future development and growth in their area. The Dartmouth Park Neighbourhood Forum Area is outlined on this map. Highgate and Kentish Town have also formed Neighbourhood Forums. Councils are required to bring forward development sites in their areas within a five year plan. The Neighbourhood Plan allows the community to express views on the area and steer potential future developments by embedding the Neighbourhood Plan into the local planning system. It allows the community to define visions, aims and aspirations for their area. Who is the Dartmouth Park Neighbourhood Forum? The Neighbourhood Forum is for everyone who lives or works in the area. It needs your support and commentary to ensure that a plan is developed that is truly representative of local community and business aspirations. The process began at a large public meeting in February 2013 that asked for a committee to be formed of 21 people. The committee includes residents from many different locations across the area, local business people and representatives from different age groups. It is fully diverse and non-political. The DPNF has been organised so that it can run a consultation process as widely and effectively as possible and hopes that you will become fully engaged with this, join in and support the process. What is the Neighbourhood Forum intending to achieve? The DPNF main objective is to produce a Neighbourhood Plan based on the consultation feedback. We expect the final consultation period to run over the spring of 2016. We will then prepare a plan to submit to the council and community for a referendum in the summer. If it is agreed our plan for Dartmouth Park will have statutory planning status. This entry was posted in Home page on 3 February 2016 by DPNF. 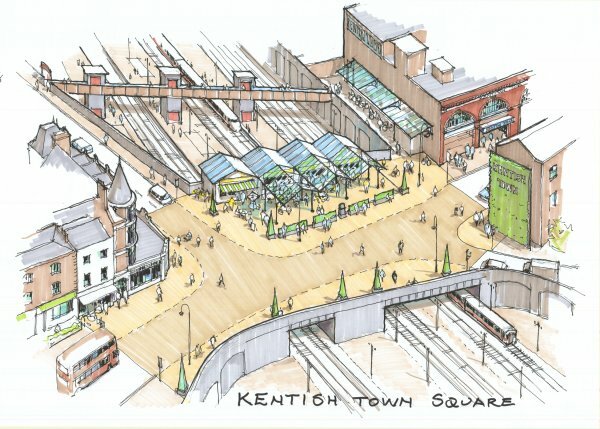 The KTNF Annual General Meeting is on Thursday 28th January at the Kentish Town Community Centre, 7.15 to 9 pm. All are welcome. The meeting will include details of the Referendum on the KTNF Plan and the election of the KTNF Committee. For further information, see KTNF. This entry was posted in Community Engagement, Home page, Uncategorized on 23 January 2016 by DPNF.